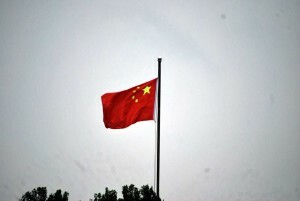 BEIJING, China (China Aid) — Beijing authorities placed a house church member under strict watch in his home after his November-release from a 20-month confinement in a mental hospital, during which time he was forcibly dosed with psychiatric medication. On Jan. 24, 2014, authorities placed 15 members of Holy Love Fellowship Church, a house church in Beijing, into criminal custody after they were discovered planning to meet in the home of one member: Zhang Wenhe. On Mar. 4, 2014, Zhang Wenhe was transferred to Changping Mental Healthcare Center where he spent 20 months until his son, Zhang Chi, was finally able to convince authorities to release him in November 2015. “On Nov. 18, after a three-week negotiation with police, I brought him out of Changping Mental Healthcare Center, by reasoning that he needed to take care of my mother. I also promised that if the public security bureau let my father out, he wouldn’t live in one place. Under these terms, they agreed to let him go,” Zhang Chi told China Aid’s reporter.